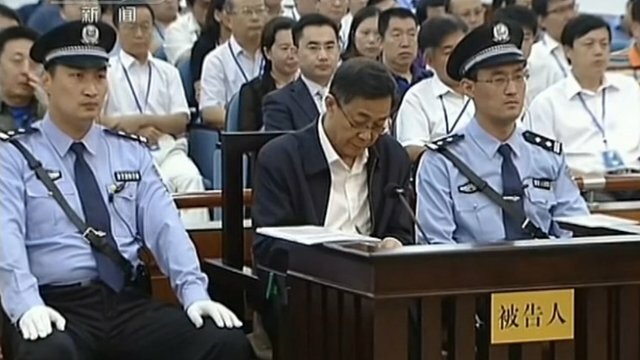 Life sentence for China's Bo Xilai Jump to media player Disgraced former Chinese politician, Bo Xilai, has been found guilty of corruption, embezzlement and abuse of power, and sentenced to life in jail. 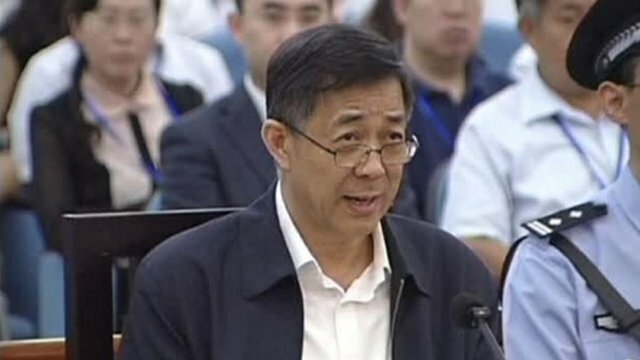 Why Bo Xilai was brought down Jump to media player The BBC's Damian Grammaticas explains why Bo Xilai is likely to receive a long jail sentence, despite his popularity. 'No leniency' call for Bo Xilai Jump to media player The trial of former top Chinese politician Bo Xilai has ended, with prosecutors calling for "no leniency" to be shown. 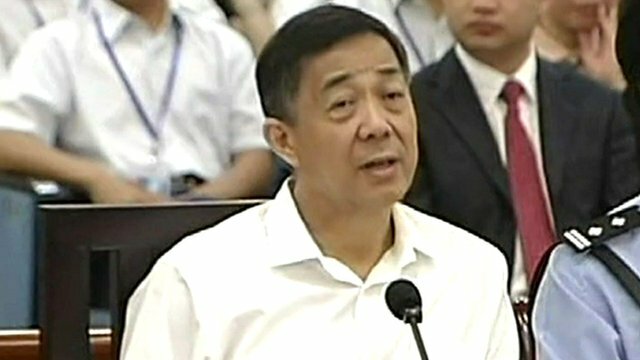 Bo Xilai trial draws to close Jump to media player Former top Chinese politician Bo Xilai has given what appears to be his closing statement on the fifth day of his corruption trial. 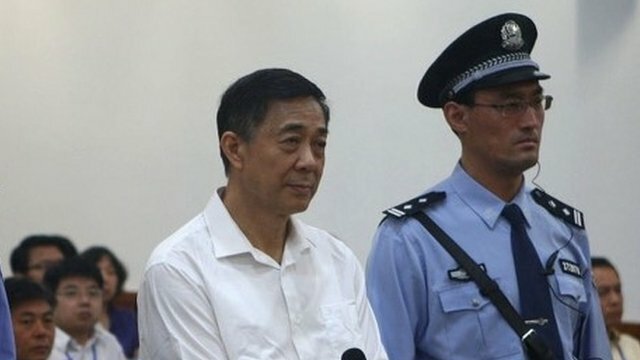 Police chief 'lied' - Bo Xilai Jump to media player Former top Chinese politician Bo Xilai has accused his ex-police chief of lying over allegations of abuse of power. 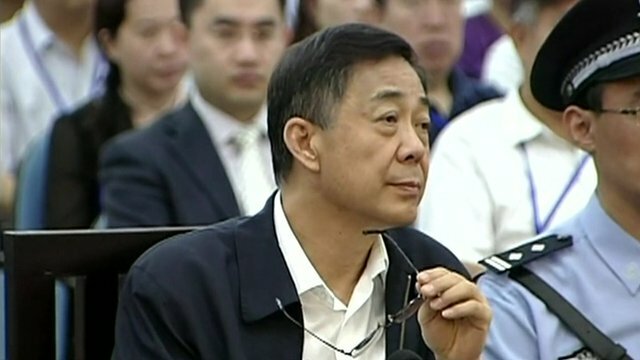 Bo Xilai calls wife 'mad' in court Jump to media player Bo Xilai, the former Chongqing Communist Party chief, is accused of bribery, corruption and abuse of power. His wife Gu Kailai gave testimony at his trial but he wants it dismissed. 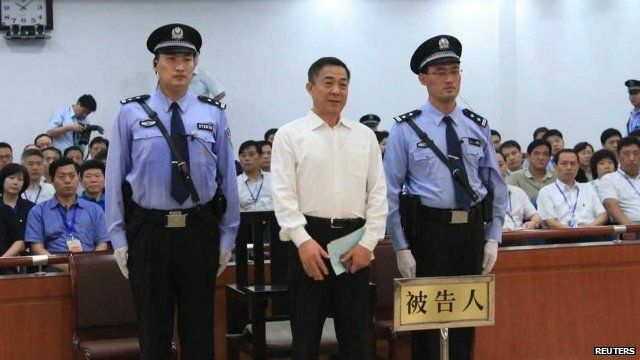 Bo Xilai denies bribery at trial Jump to media player Disgraced Chinese politician Bo Xilai has fought back in court against charges of bribery on the opening day of the country's biggest political trial in decades. 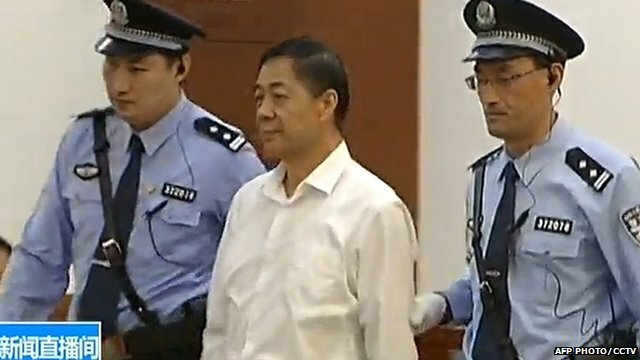 'Feisty defence' from Bo Xilai Jump to media player Disgraced Chinese politician Bo Xilai has fought back in court against charges of bribery, on the opening day of the country's biggest political trial in decades. 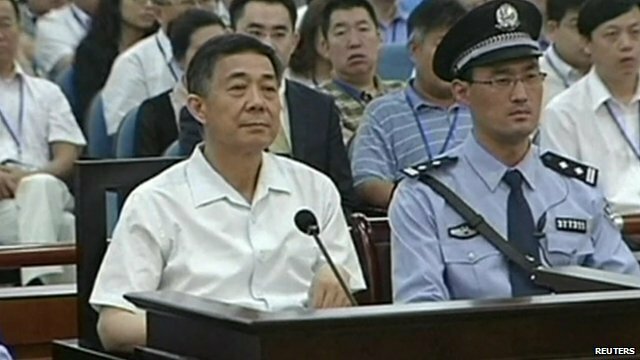 Disgraced former Chinese politician, Bo Xilai, has been found guilty of corruption, embezzlement and abuse of power. Bo, who denied the charges, was removed from office in 2012 amid a scandal which saw his wife convicted for the murder of British businessman Neil Heywood. A court in Jinan delivered its verdict on Sunday and sentenced him to life in jail, although has the right to appeal. The BBC's John Sudworth described the verdict as a "political purge".